EXFO announced the release of its advanced Multichannel OTN testing at 100G to support network equipment manufacturers (NEMs) who are developing high-speed OTN packet transport solutions. The new, advanced Multichannel OTN capability, which helps NEMs speed up testing and development of OTN switches, is available on the FTB/IQS-85100G and FTBx-88200NGE. These solutions are the only testers on the market delivering Multichannel OTN capable of validating up to 80 channels simultaneously. With NEMs facing increased demand for high-speed OTN switches (from traditional carriers and for data-center applications), reducing development cycles is critical to bringing new solutions to market faster. 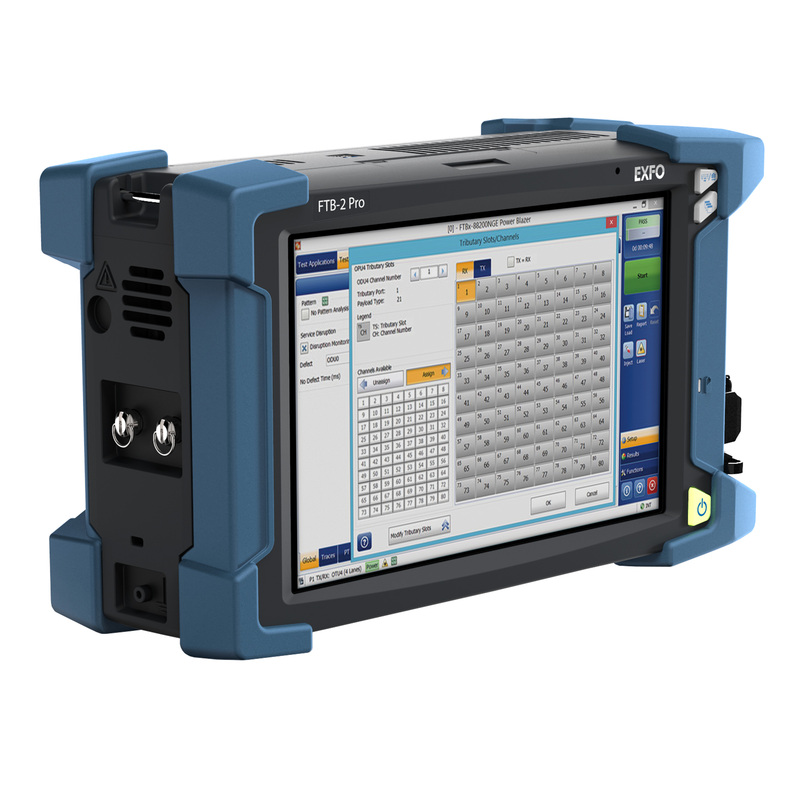 The new Multichannel OTN capability available on EXFO's 100G test solutions empowers NEMs to be more efficient and agile in their development. EXFO is also introducing 100 GigE Through mode on the newly launched FTBx‑88200NGE. This troubleshooting tool is designed to minimise downtime for 100G circuits in the field and lab testing. A unique in-line bidirectional monitoring tool, 100 GigE Through mode eliminates the need for an external tapping module, switch mirror port or any other traffic redirection scheme, and is the only solution on the market with this capability.